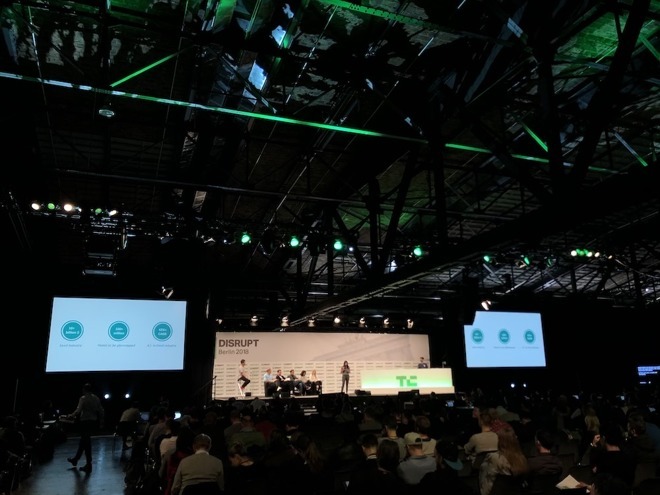 A panel of tech industry judges narrowed down a dozen contestants picked from over a thousand applicants to pick up the Disrupt Cup award at Disrupt Berlin 2018. The panel ultimately bypassed other startups putting machine learning directly into consumers' hands, and ultimately decided on a single winner that wiggled its way past the others to win $50,000 —a Swiss startup named Legacy that freezes men's sperm when they are healthy and young to archive reproductive ability until the time is right. Disrupt picked a runner-up winner also connected to seed, this time of the plant variety. 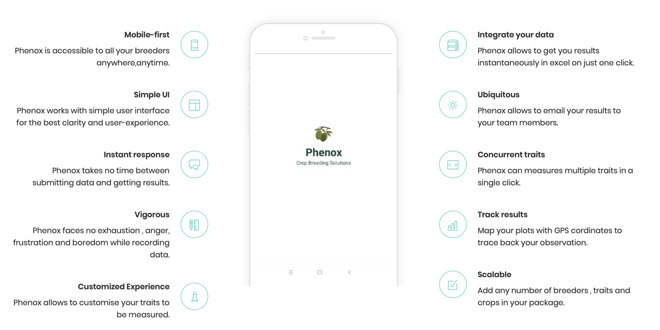 Phenox, an app by Imago AI, uses computer vision and machine learning to automate the measurement of crop output and quality for farmers, greatly accelerating the time-consuming process of quantifying desirable plant traits with the goal of developing higher-yielding, more disease-resistant crop varieties. The startup, based in Gurgaon, India near New Delhi, has developed technology that claims to reduce the time required to measure crop traits by three-quarters, providing a potential alternative to developing new crop varieties using genetic engineering. By accelerating the process of breeding and phenotyping plants, new varieties could be developed that are optimized to thrive in a particular location or climate. Additionally, its computer vision and machine learning can be used to identify crop diseases and measure in great precision how extensively a particular specimen is affected. The system can take advantage of the cameras on mobile devices to review data literally in the field. The system is also non-destructive, as plants aren't required to be dug up and tested in a lab. Legacy works like a sperm bank but enables men who want to preserve their fertility for later to make a deposit from home, using a special container that is picked up by a courier and delivered to a clinic. Once received, the goods are tested and can be stored cryogenically and indefinitely for a one-time payment. The Geneva, Switzerland, based Legacy offers plans ranging from basic fertility testing to long-term, parallel storage kept redundantly at six secure locations to avoid any loss. Users pay between $1,000 and $10,000 for the storage plans, enabling them to delay having children without any risk of degraded fertility or genetic mutation. Legacy's founder Khaled Kteily said he was inspired to develop the "Swiss Bank of sperm storage" after a friend facing cancer treatment complained that existing options for banking his seed seemed less than trustworthy. Beyond potential damage from medical treatments, a man's ability to produce healthy sperm also degrades over time. "Every eight months," Kteily stated, "men produce a new genetic mutation that gets passed on to their children. Birth rates around the world are plummeting and men are responsible for infertility in 30-50 percent of couples. Meanwhile, you can freeze sperm indefinitely with no loss in quality, through Legacy, without having to leave your home and at a tenth of the cost of egg freezing." 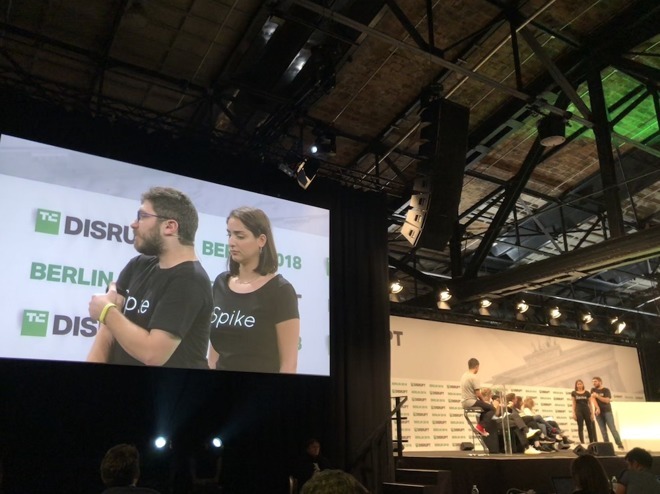 Other finalists in the Disrupt Berlin Startup Battlefield included Spike, an app created by Ziad Alame, a diabetic himself, to simplify the work of monitoring and responding to changing blood glucose levels. Beyond simply recording data, the service is designed to proactively help users to coach their behavior, suggesting foods with specific carb counts or recommending specific behavioral changes in response to learning their health patterns over time. The firm also launched its new Spike Guardian app designed to link people managing their diabetes with friends and family, creating a social network of support that helps others assist them in maintaining their ongoing requirements for carb-counting and insulin injections. The Berlin-based Polyteia is a startup working to help city governments take advantage of the data they have available in various databases. The platform aspires to centralize data and derive meaningful insights that can be used to chart out performance indicators from financial and operational data, optimizing city services based on utilization, and even forecasting future needs. The final round also included Kalepso, a startup from Montreal, Canada that claims to have a solution to securely encrypting database information with higher performance using differential privacy to enable database analysis without leaking any individual's private data.